The implementation of actinomycetes for the biosynthesis of metal nanoparticles as a nature-friendly, safe and hopeful way is welcome due to its non-toxicity and naturalness. 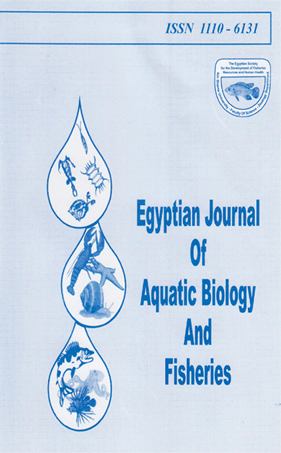 Out of nine actinomycetes isolates was isolated from sediment of the Suez Gulf, Egypt, only one isolate (M8) showed ability for biosynthesis of gold nanoparticles using extracellular supernatant. Isolate (M8) was selected and identified as Streptomyces griseus on the basis of cultural, morphological, and physiological properties, additionally 16S rRNA sequence. The gold nanoparticleswere confirmed using by Visible UV spectrophotometer, Fourier Transform Infrared (FTIR) Spectroscopy and Transmission Electron Microscopy (TEM). Au-Nps ranged from 19 to 28 nm in size and hexagonal in shape. Au-NPs synthesized by Streptomyces griseus isolate (M8) showed displayed a significant antimicrobial activity against gram positive bacteria Enterococcus faecalis 29212 (10 mm), gram negative bacteria Escherichia coli 19404, Pseudomonas aeruginosa 9027, Salmonella typhimurium 14028, Vibriofluvialis, and Vibrio damsel (10, 20, 28, 25 and 18 mm respectively), and yeast Candidaalbicans (18 mm) in well diffusion method. Moreover, gold nanoparticles exhibited a signiﬁcant degree of anticancer activity against two different cancer cell lines Colon carcinoma cells (HCT-116) using 61.9 ug/well and breast carcinoma cells (MCF-7) using 46.6 ug/well.